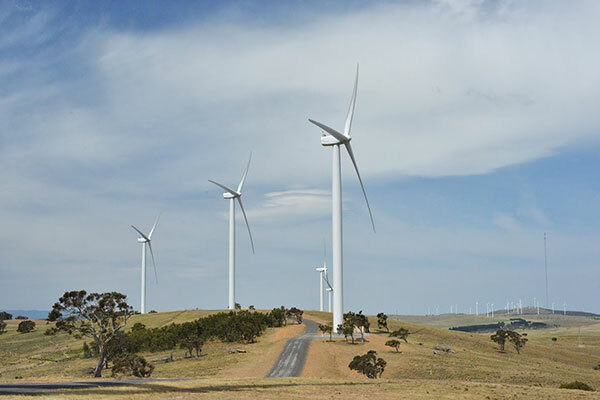 New South Wales has the largest renewable energy and sustainability sector in Australia – backed by major government and private sector initiatives. The state is home to clean technology business and research institutions that are leading the country – and the world – in reducing energy consumption, producing clean energy and tackling environmental challenges. There is also more renewable generation capacity under construction in NSW than in any other Australian state or territory. Current projects will generate an extra 1,000 megawatts (worth A$2.3 billion) and projects in the approval phase will provide a further 7,900 megawatts (worth A$9.4 billion). These projects involve a diverse range of technologies designed to make energy services more affordable, reliable and secure. Renewable energy sources (wind, solar, bioenergy, geothermal and hydropower). With its abundant and world-class renewable energy resources, the state is well positioned to attract future investment. Its leading research and development facilities are paving the way for performance improvements across all major renewable energy sources. International investors play an integral role in the development of large-scale renewable energy projects in the state. The boom in the sector is due to NSW’s strong track record for successfully initiating projects as well as fostering the startup equipment and service providers that support industry growth and innovation.